Having a drink or two is completely normal. Every once in awhile letting loose with a few drinks is also nothing to scoff about. However, drinking an exorbitant amount, to the point that an individual doesn’t remember all of the events of the evening or gets sick, is unhealthy behavior that can have dramatic long-term implications to their mental and physical health. This kind of alcohol consumption is called binge drinking. Binge drinking is widely known as hazardous to an individuals health, so that begs the question, why do people binge drink alcohol? Binge drinking is the act of consuming a very large number of alcoholic beverages in a short time period. The amount of alcohol consumption that constitutes binge drinking can vary based on the individual’s age, weight, and gender, but in general binge drinking is defined as five or more drinks for a man and four or more drinks for a woman. Binge drinking is very popular amongst young people, as they are drinking with the singular goal of getting drunk. According to some estimates, around 90% of all alcohol drunk by people under 21 in the United States is consumed by binge drinking. While each individual will binge drink alcohol for different personal reasons, there are a couple overriding reasons for binge drinking. Here are a few of the most prominent reasons for binge drinking. Human beings can sometimes be so simple. Like Pavlov’s dog, if an individual gets positive results from an action, then they will continue to perform that action. With regards to binge drinking, if someone drinks alcohol and it makes them feel good, they have fun and relieves them of social anxiety, then they will continue to drink alcohol. That means that they will keep on grabbing drink after drink, “chasing the dragon” and trying to get the good feelings to continue to be present. At social gatherings, the effect of peer pressure is very real. If everyone is drinking alcohol, it is only natural to want to grab a drink as well. The euphoria that comes with being in a group of friends and peers can lead to a feeling of exuberance that is amplified by drinking alcohol. There also could be drinking games at the party as well. 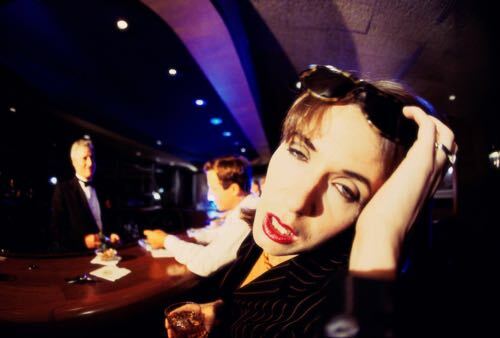 These factors create a breeding ground for binge drinking. People who are alcoholics binge drink to get drunk as quickly as possible. While binge drinking and alcohol are not irrefutably linked, there is certainly a correlation. All binge drinkers are not alcoholics, but a majority of alcoholics binge drink. If an individual binge drinks by themselves or binge drinks as a way to curb emotional or interpersonal strife, they are likely an alcoholic. The Pearson Center for Alcoholism and Addiction Research is currently offering treatment research studies for those who have a drinking problem. If you binge drink and feel it may be because you have an alcohol problem, contact us today. We can get you enrolled in a clinical research study that will provide treatment to help fight alcoholism. If you are interested in learning more, give us a call at (858) 784-7867.